Location: The Bangor Arts Exchange, 193 Exchange St. Admission: FREE. Register to reserve seats. ‘West Side Story’ contains some of the most famous music ever composed in American musical theater and the 1961 film adaptation won the Academy Award for Best Picture. 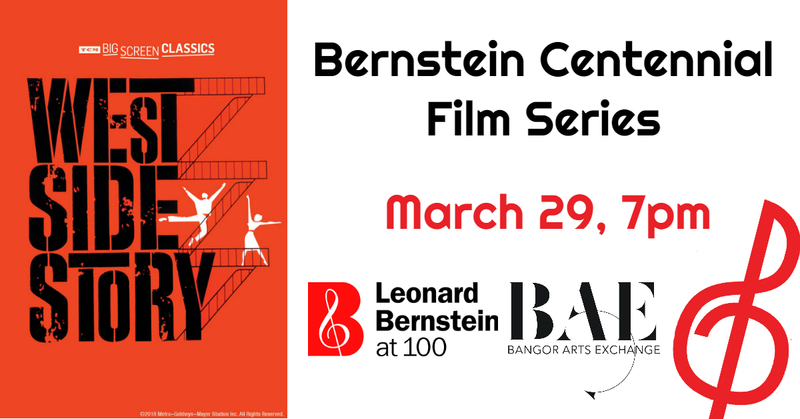 This free film screening is presented as part of the Bangor Symphony Orchestra’s season-long celebration of the Leonard Bernstein Centennial, culminating in a performance of selections from ‘Candide’ on April 7, 2019. Admission: $20 Per Person. Order Online. 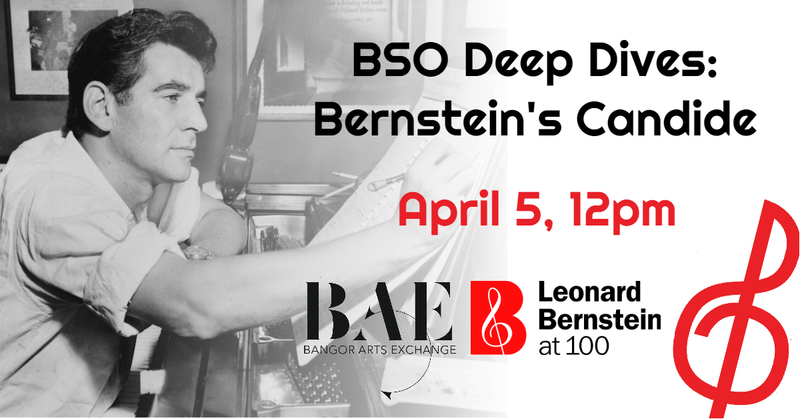 Deep Dives is the BSO’s adult education series held at the Bangor Arts Exchange, offering patrons an in depth look at one particular piece of music, with lunch included! On April 5th, we explore Leonard Bernstein’s Candide. 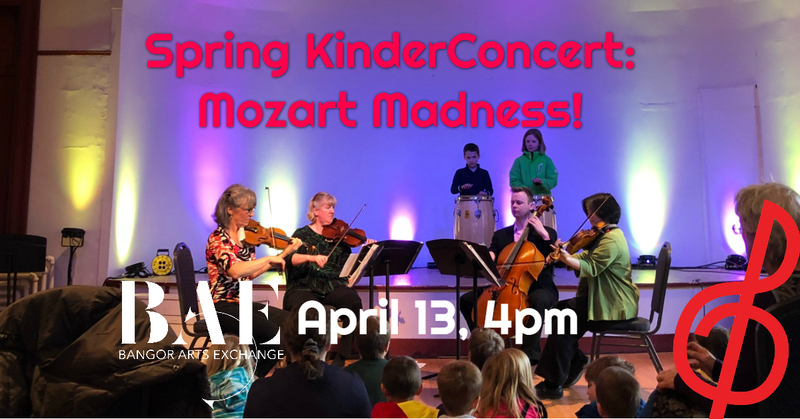 We’ll be led on our musical journey by BSO Music Director Lucas Richman, Executive Director Brian Hinrichs, and special guest commentators. Four talented vocalists have the opportunity to work in a public master class with guest artists Kelly Lester and Christopher Sanders. 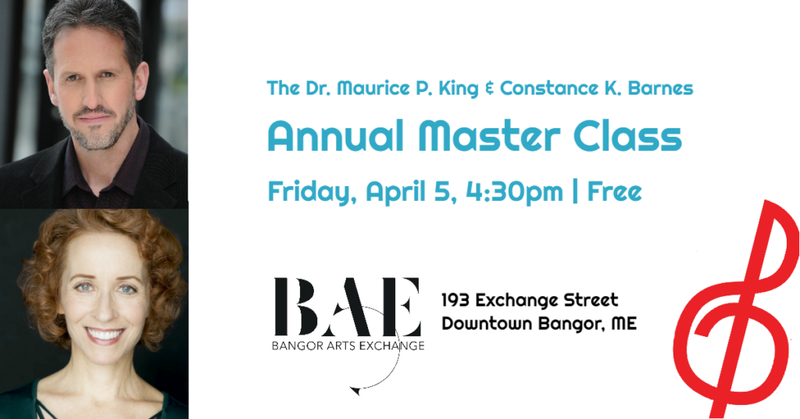 Experience their live performances and critiques, free, at the Bangor Arts Exchange. This is a wonderful learning opportunity for vocalists, musicians, and audiences of all ages and backgrounds. Location: The Bangor Arts Exchange Ballroom, 193 Exchange St.